Top rising Takoradi-based Hiphop Artiste Nana Kay, who is well known with his Everything Right hit single song which features the multiple awards winning rapper EL. 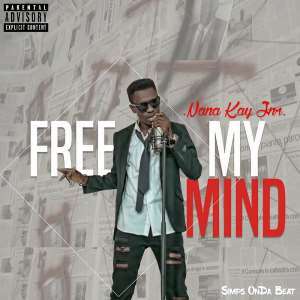 In memory of the Ghana 62 Independence Day celebration, Nana Kay Jnr has recorded a controversial song dubbed Free My Mind’ a song which addresses more of the Ghana political issues, and his lyrics focus more on our failure as a citizen to develop our country Ghana. Also, he claims, Ghana has nothing to be proud of in our 62nd independence celebration, we have failed as a nation with no development, and lacks infrastructures he says. Meanwhile’ video of the song drops on the 30th March and it will be premiered on over 10 TV stations across the country and online as well.